On Monday(June 12th) Kristen Bell posed for pictures at 'The Good Place' Season 2 For Your Consideration Event at the UCB Sunset Theater in LA. 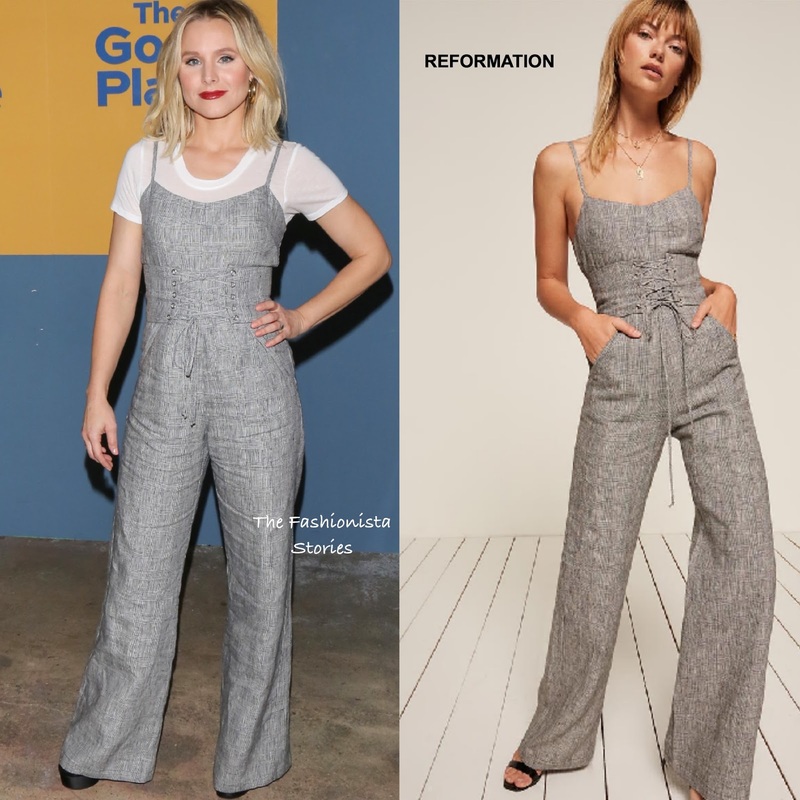 For the occasion, she wore a the REFORMATION 'Pace' jumpsuit with adjustable straps, an attached corset top, side pockets and wide legs. Instead of wearing the jumpsuit as is, Kristen layered it with a basic white short sleeve T-shirt. Center part locks, a bold red lip and black platform sandals finished up her look. How do you prefer the jumpsuit, with or without the T-shirt?